Are you doing this miracle exercise? If not here’s why you should be…..
Cardio exercise has amazing benefits but toning is arguably the most powerful exercise of all with huge more wide ranging benefits that you just cannot afford to miss! It is safe to say that not doing toning is one of the biggest exercise and health disasters of all. I’m serious. You might think of weight bearing exercise as just being about toning muscles, but its so much more than that. Training with weights and body weight should really be described as a modern day health miracle. I really don’t think there is anything out there – lotion, potion, pill or surgery – that can match weight bearing exercise for such widespread and powerful health and anti-aging benefits. Yes, it is amazingly brilliant to tone the muscles and look great and see those inches fall away but those benefits are only the tip of the iceberg when it comes to what is really happening! If you want to get the most out of life right now and also help protect yourself against health problems and premature aging in the future, then make sure to start toning with weights or your body weight! It only takes 2 short sessions per week for priceless benefits. Toning improves circulation helping to reduce the risks of clots. Targeting different muscle groups ensures that circulation can be improved in every part of the body. Improving circulation also helps shift fat from stubborn fat areas. Toning help strengthen the arteries reducing the risk of bleeds and strokes. Toning improves posture, a big problem of everyday activities and aging! Being the only truly totally balanced activity there is, it ensures that all muscles are worked and counters the everyday imbalances we encounter through our work and other activities. Joint function and strength also benefit enormously which helps prevent injury and counter this other huge problem of aging. Toning drives up your metabolic rate more than anything else. The more muscles tone you have, the higher your metabolism goes. 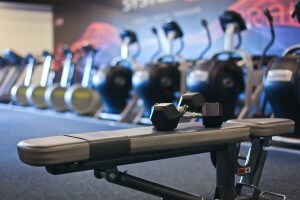 It is estimated that for every extra pound of muscle tone you get, you burn an extra 300 calories per week. Toning means you get slimmer but your muscles get more density. Most of us could do with 5 lbs of extra muscle tone, meaning you would automatically burn an extra 1500 calories per week or 78,000 calories per year. This would counter 22 lbs of possible weight gain from poor eating and other lifestyle habits. It stimulates key anti aging hormones. Our growth hormone, known as our fountain of youth hormone, declines rapidly after 30 years of age, but doing weights can help counter this because it helps realise more growth hormone. Testosterone is another hormone boosted by weights that normally declines rapidly in men and women and that is equally vital to both. It stimulates thyroid production which also declines as we age so its especially important If you’ve an underactive Thyroid or signs of it. Nerve function and body balance are also improved by toning! If you want steadier hands and limbs as you get older and want to do all you can to keep your independence and avoid the use of a walking stick, you will get on those weights fast. There are plenty more of other great benefits to be had from toning weights but key ones to mention are increased bone density, the extra strength and energy they give you and the incredible mental benefits of better self confidence, self esteem and stress and anxiety reduction. The bottom line is that if you are missing out on the toning aspect of your exercise routine then you’re probably missing out on one of the great medicines of all. As always I hope you get something useful from this article, please share it with others. Someone making one simple change (toning twice a week for 20 to 30 minutes) can lead to big improvements. If you have any questions on anything above please email me at service@system10.ie and I will reply. 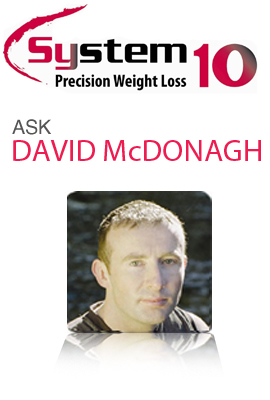 System 10 is about fixing these common metabolism problems that hugely control your weight loss. Fixing these metabolism problems gives you much easier and faster weight loss. It also gives much better weight loss because you burn real fat and get at stubborn fat areas including stubborn cellulite and can keep the weight off much easier afterwards. Don’t miss my NEW online plan starting soon where you can lose 10+ lbs in 4 weeks or 20+ Ibs in 8 weeks and get an amazing change in shape because it is real weight loss. Click here for more details. Alternatively arrange a one to one consultation in your nearest clinic by clicking here.